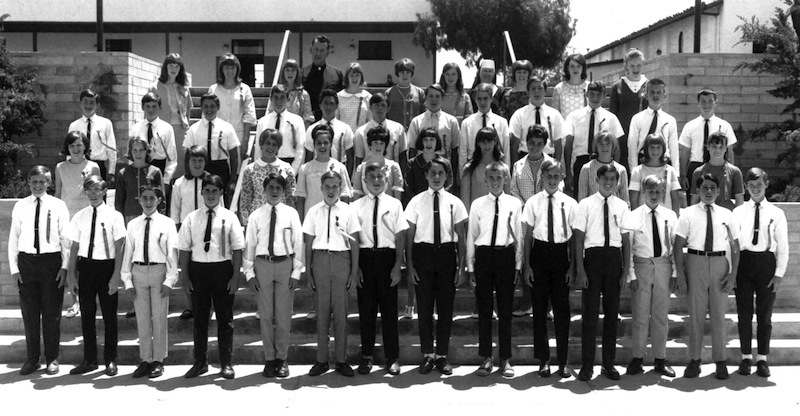 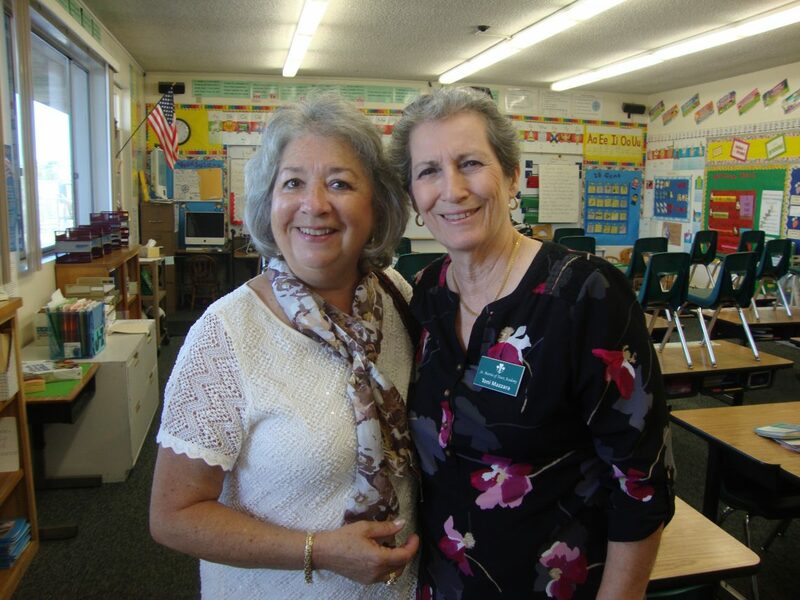 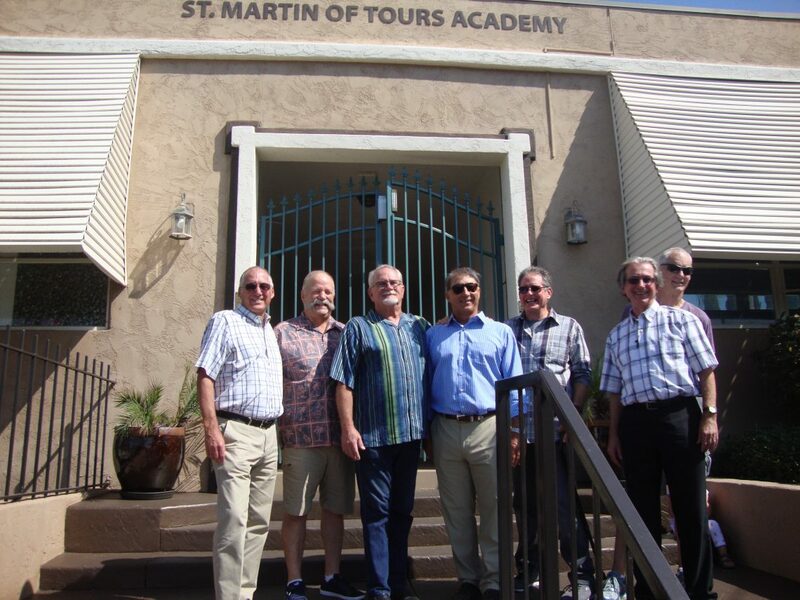 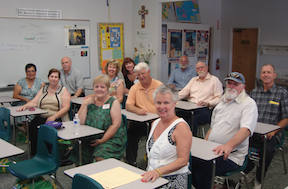 Each year we invite SMA’s 50th anniversary graduates to return for a celebration reunion. 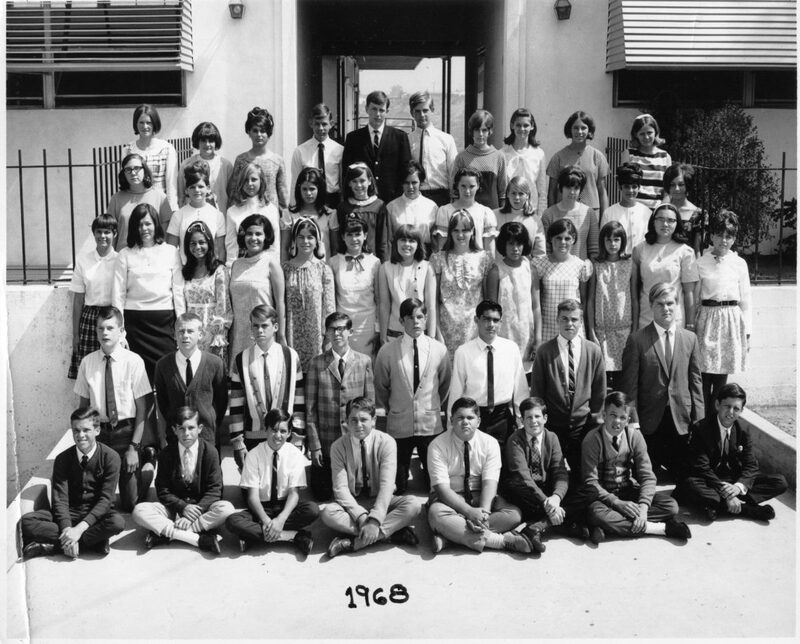 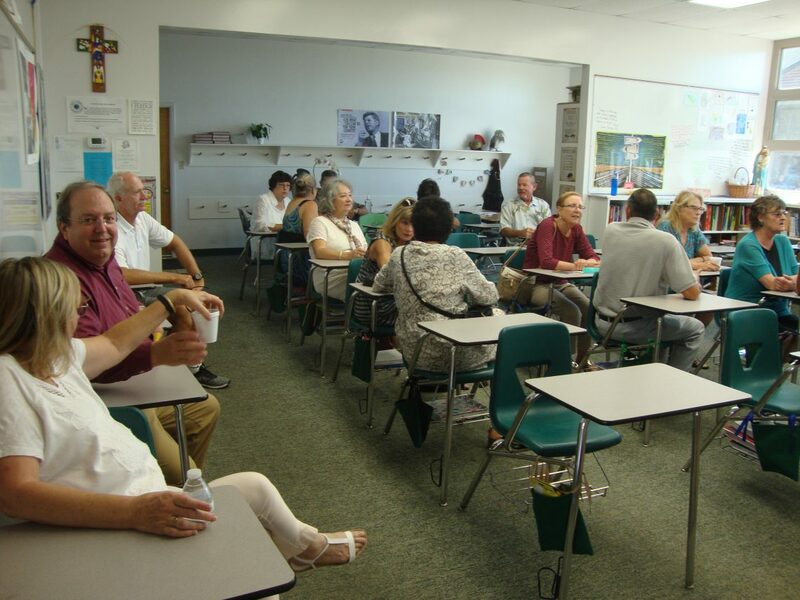 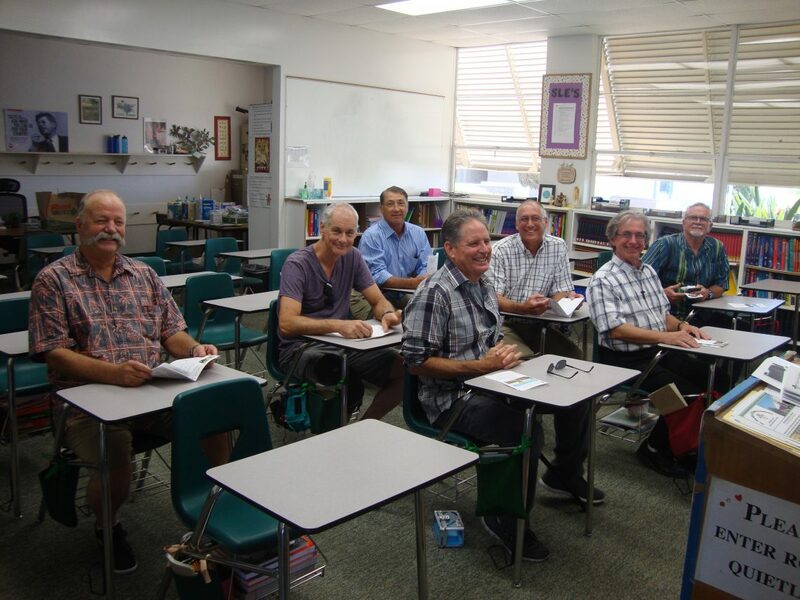 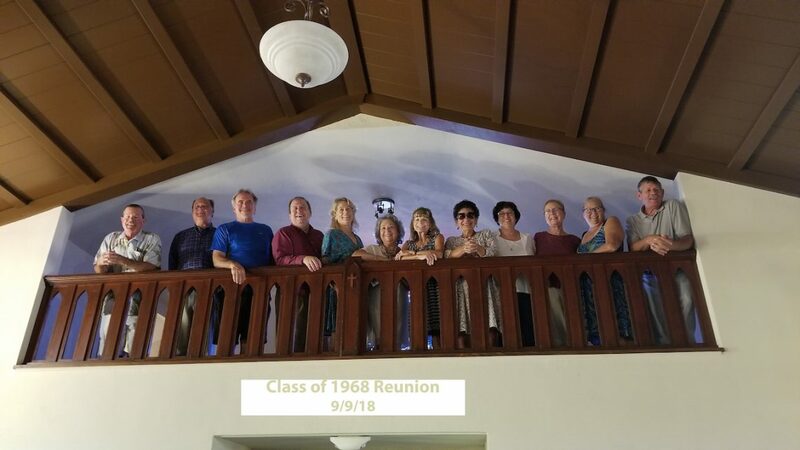 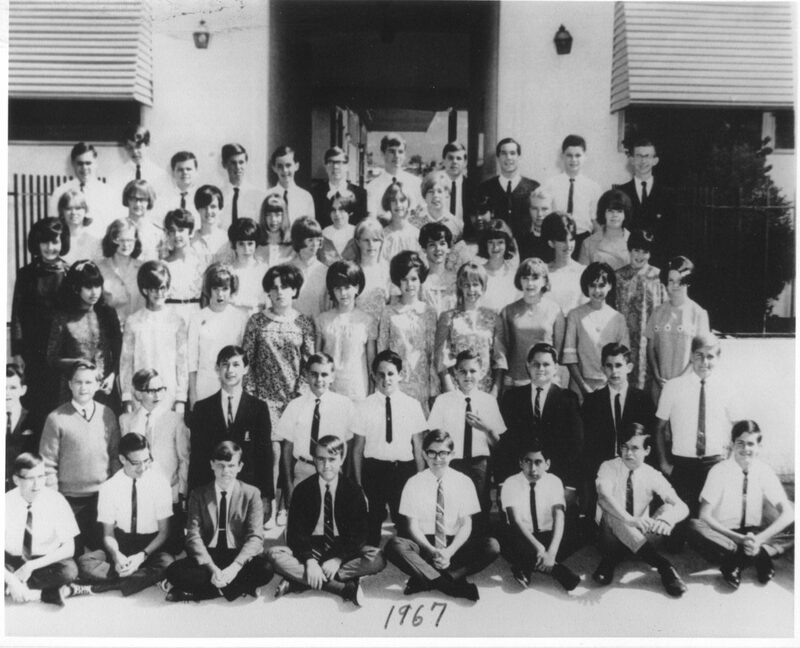 On September 9, 2018 the Class of 1968 celebrated their 50th class reunion. 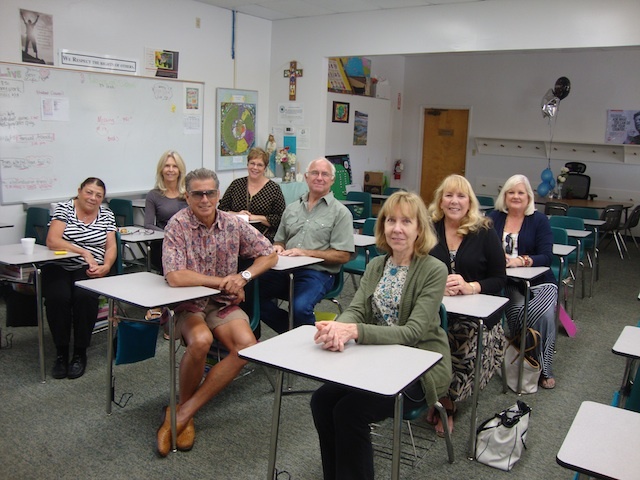 The class was honored at the 9am Mass. 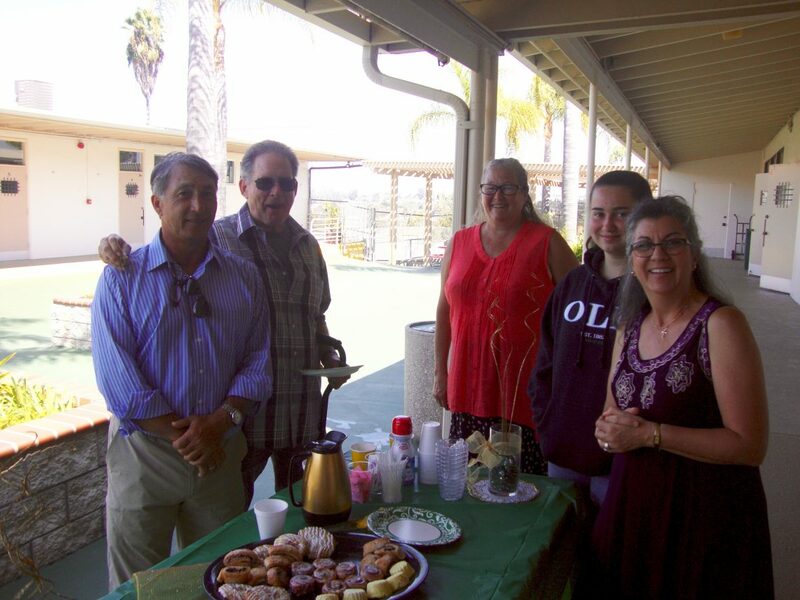 They enjoyed a continental breakfast and toured the school & parish grounds. 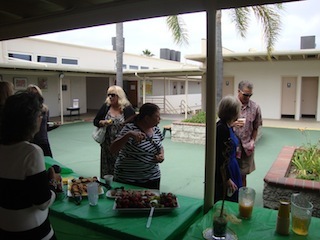 It was wonderful to see so many graduates. 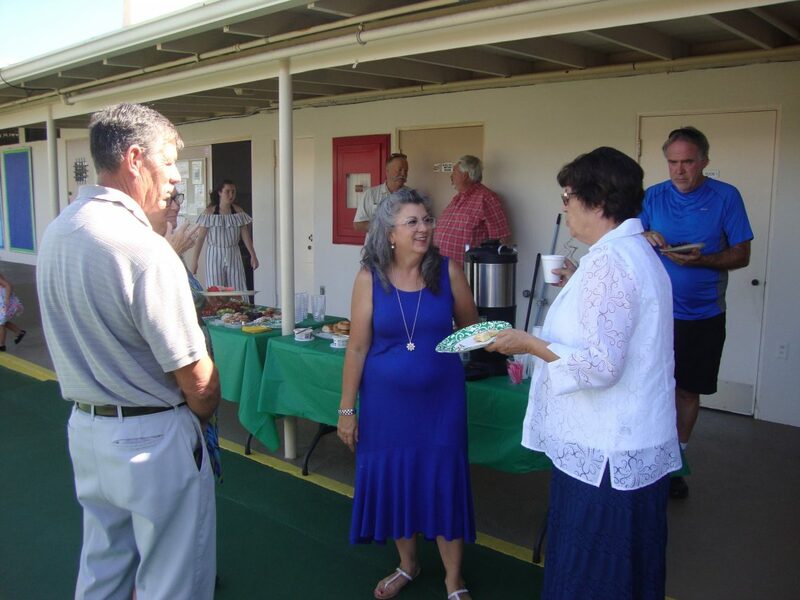 We thank the Connors family for hosting the breakfast, Nancy Ryan for the tour, Diane Hartley & Toni Mazzara for hospitality. 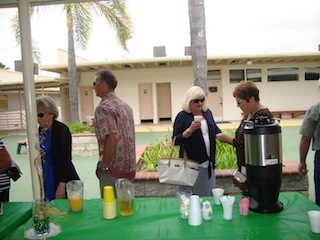 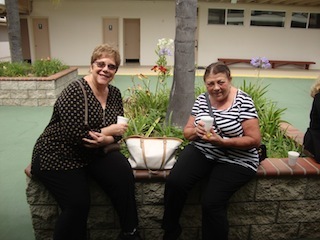 On August 27, 2017, several classmates from the Class of 1967 attended the 9am Mass and enjoyed a continental breakfast in the school courtyard. 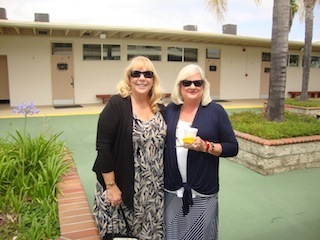 They toured the school and parish grounds and enjoyed being back at school! 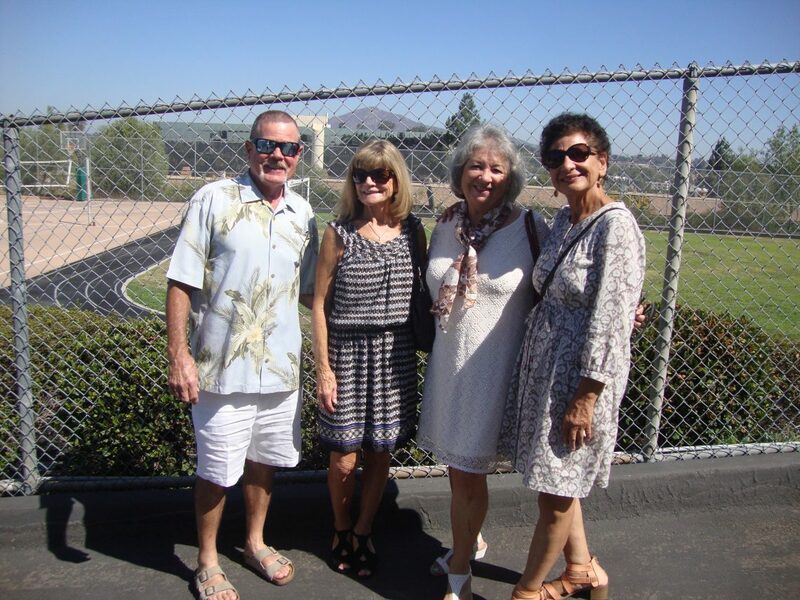 Alums: Joe Bassi and Tom Carter -1967, Kathleen Meier Ritz -1968, Kathy Simanello Connors – 1975 & Claire Connors- 2017! 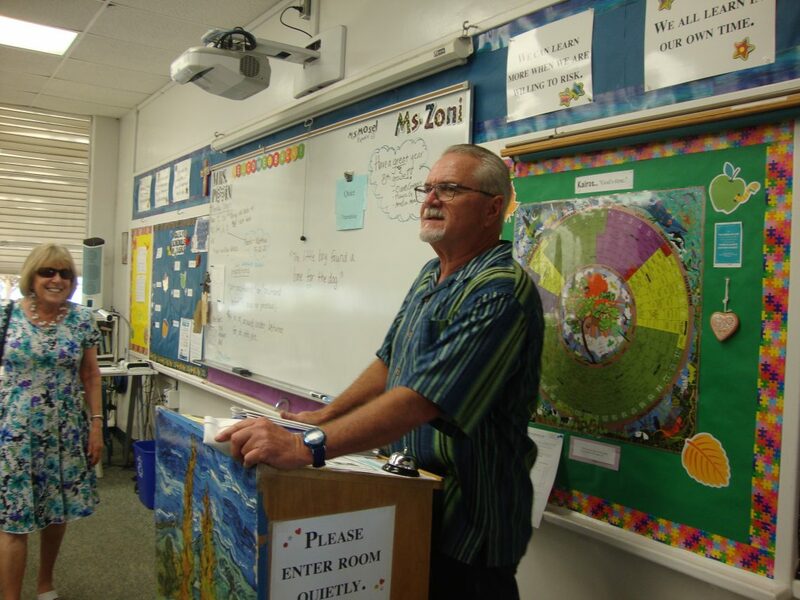 Mike Sable takes the podium while former principal, Nancy Ryan, Class of 1954 looks on. 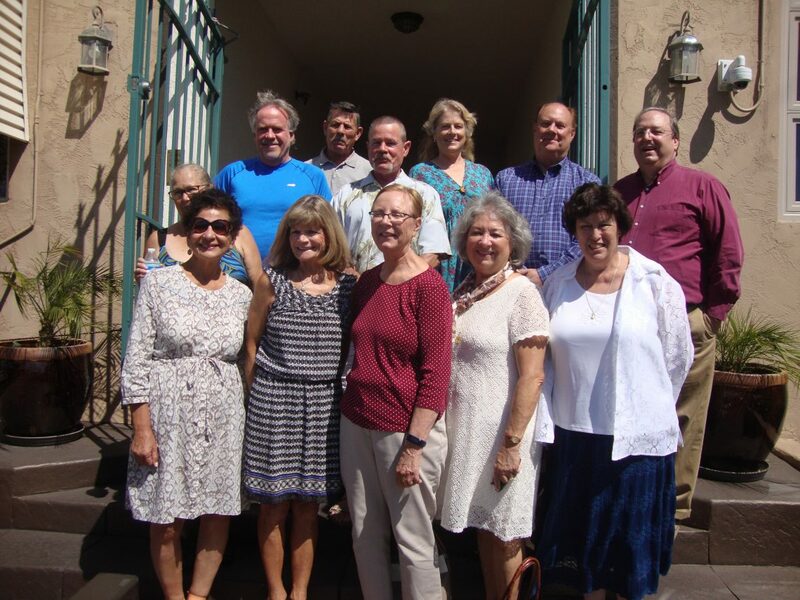 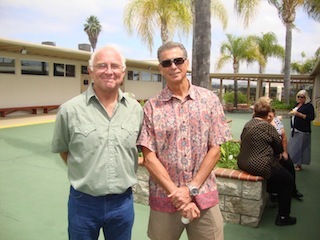 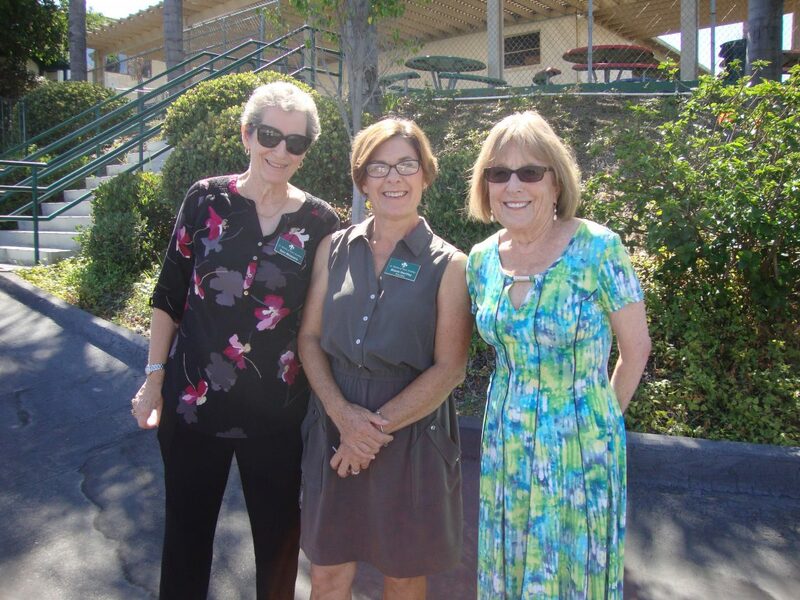 The Class of 1966 celebrated their reunion on June 12, 2016. 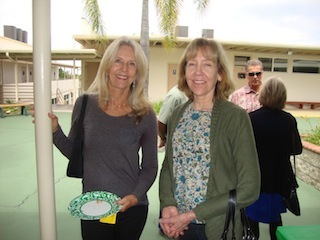 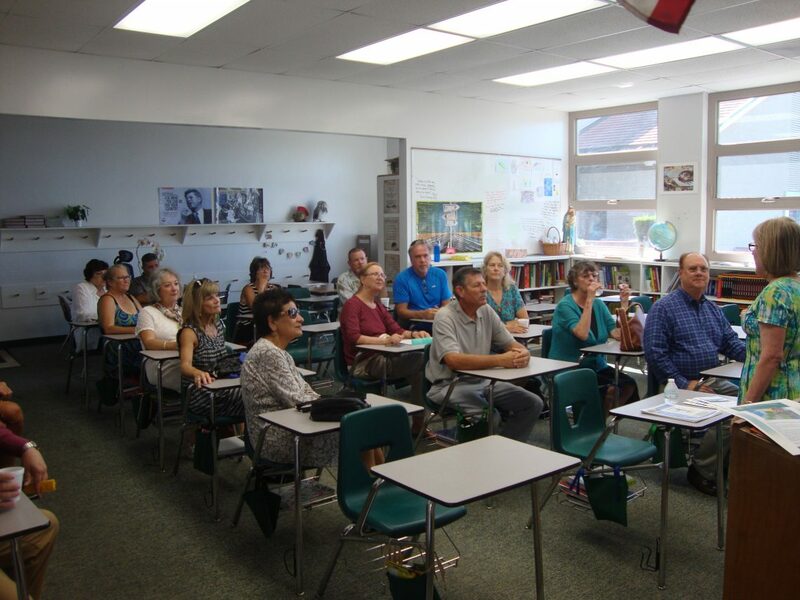 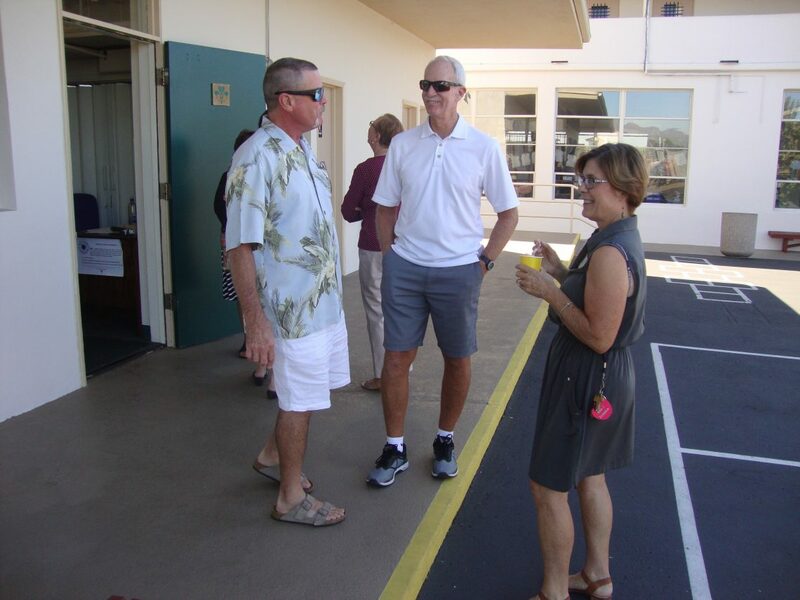 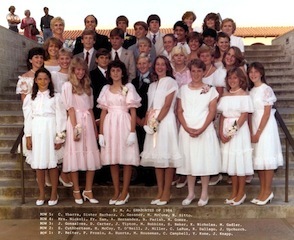 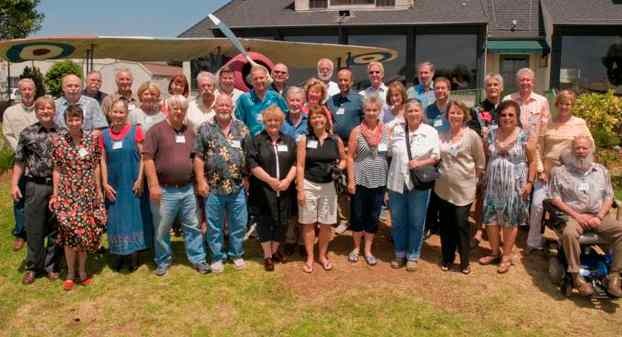 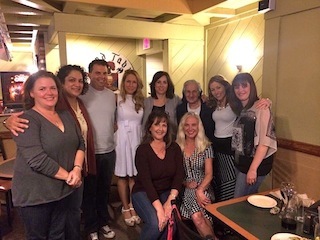 The Class of 1984 celebrated their 30th class reunion in April 2015.